Laura cut her teeth as a key figure in Australia's infamous 'geekgirl' hyperzine in the early nineties, and has been involved ever since in the design and implementation of many of the world's most cutting edge projects for top international brands. 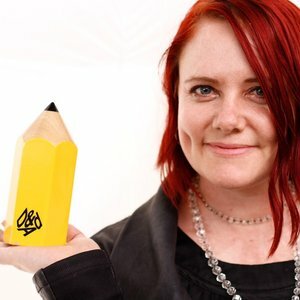 She has worked at a senior level at deepend, Lateral, I-D Media London and glue, before joining LBi in 2009. She also lectures extensively at major Universities and centres of excellence. She has consistently won awards for her commercial work, and has been honoured with personal recognition over 15 years in the industry, including recently winning the New Media Age Greatest Individual Contribution to the Industry Award. She is co-founder/Director of SheSays (www.shesays.org.uk) – an international volunteer organization encouraging women to take up digital creative careers; and is also the founder of the Cannt festival (www.cannt.org) which offers up a bit of Cannes spirit to those hardworking Londoners (and in 2012 New Yorkers) in advertising and design who don't get to walk along the Croisette.